There has been a lone street market stall poping up in Central Road outside Iceland every Saturday for the last few months and Mrs WP and I finally gave it a try last weekend. S&S Pattiserie (note the Italian spelling with two t's and one s), run by Stephen Bradley has been a going concern since 1994. They make all their own products and sell them at various street and farmers markets as well as other special outdoor events. What caught my eye though was that their address is printed on the banner at the back and it is a local business - Bridgewood Road no less. 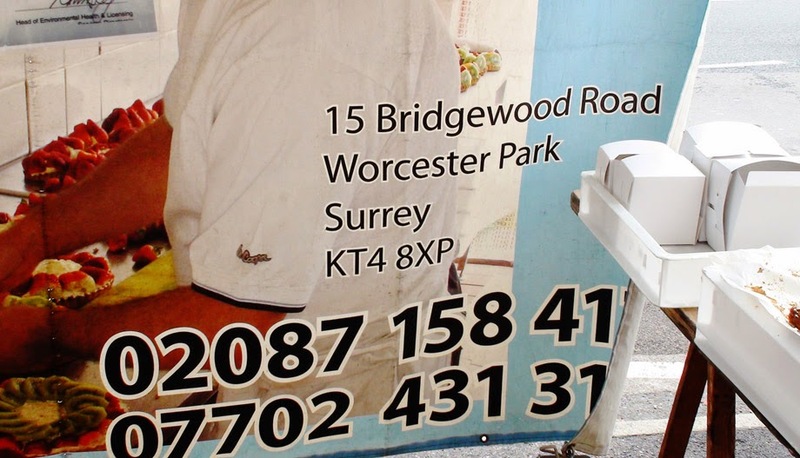 "Worcester Park is right on the doorstep so we approached the council and got permission to set up in Central Road each Saturday. 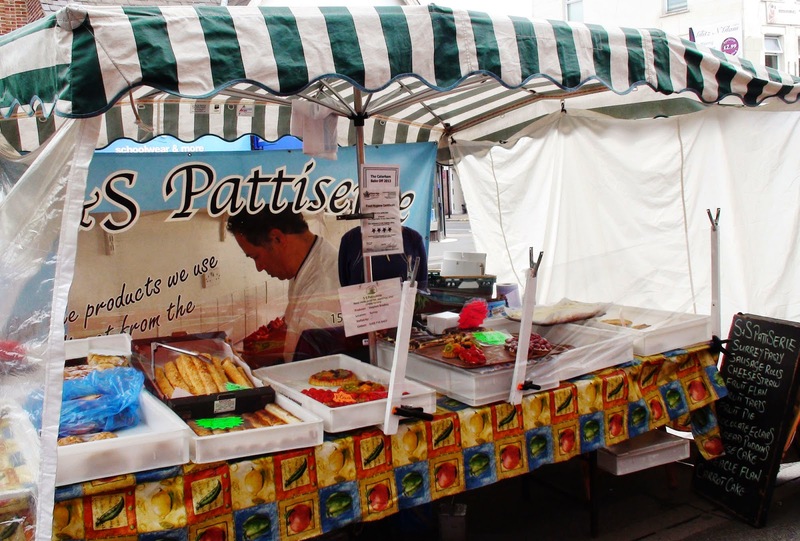 We are part of the farmers market when it comes to Worcester Park." Amongst the goodies for sale were what they term as Surrey Pasties. These are no different to Cornish Pasties as far as ingredients and recipe is concerned - they're just not made in Cornwall so can't be called Cornish Pasties. However the one I tried was delicious and just as good as the Cornish variety.